With over 230 exhibitors signed up, EFFTEX 2017 is going to be big. Hosted this year in Budapest from 29thJune to 1st July, this annual event brings together the biggest names in the fishing tackle industry. 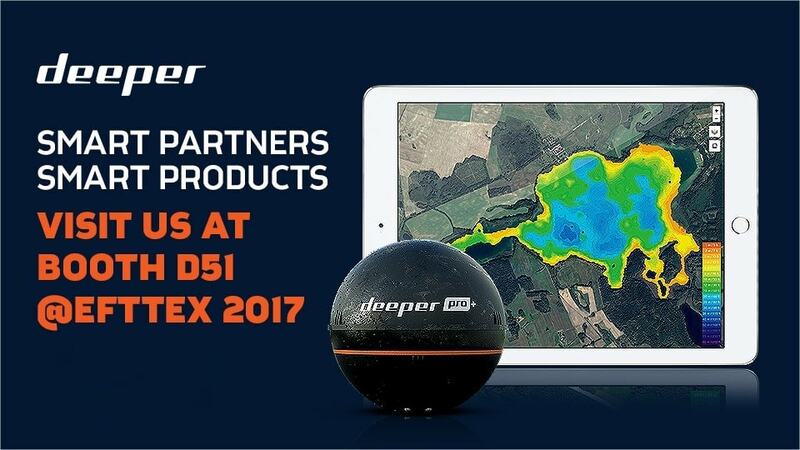 And, of course, Deeper will be there, at booth D51. First held in 1982, EFFTEX is expanding every year, both in size and in the range of activities and events on offer, from new product awards to casting pools. And just like EFFTEX, Deeper is also constantly growing. Every year, we are expanding the number of markets we are in, and our network of distributors and retailers is constantly growing. Plus our product range is always expanding too, whether it’s our sonar range, our accessories or new features on our software. So, if you want to discuss partnership opportunities or get the lowdown on our latest products, updates and features, come and find the Deeper team at booth D51. Last year the Deeper PRO + won in the Best Accessory category of the the EFFTEX Best New Products Awards. And this year, our latest software feature, Lakebook, is also up for a Best New Product Award. So make sure you check out the Best New Product Showcase and vote for Lakebook by Deeper in the Visitors Choice awards.